Fabio Sgaragli, URBACT Lead Expert at Fondazione G. Brodolini says communities can and should play a key role in cities’ creativity and takes a look at pioneering cities like Glasgow, Bilbao and Turin. Cities can stimulate economic growth and improve the quality of life for their citizens by implementing public policies aimed at creating local ecosystems that sustain creativity and innovation. In this respect, policymakers have invested relevant resources in the so-called creative (or culture) – led policies – i.e. public policies aimed at sustaining the creation of territorialized production complexes based on creative activities. This is the case of many European cities like, for instance, Glasgow (UK), Manchester (UK), Bilbao (ES), or Turin (IT), which have implemented effective creative-led policies that contributed to renewing their image and attractiveness limiting the negative consequences of a decline in the city’s industrial activities. Creative-led policies could be clustered along a continuum where, on the one side, we have a ‘top-down’ approach (which comprehends projects “developed as part of a conscious top-down planning strategy”) and, on the other hand a ‘bottom-up’ plan, which comprehends projects developed by spontaneous, creative communities. According to existant practice, this latter approach seems to be more effective, since it favours the development of a ‘collaborative atmosphere’, encouraging the spontaneous development of artistic and entrepreneurial activities. Very often, “bottom up” approaches are grounded in “third spaces”, i.e. new type of urban spaces that sometimes are the result of urban regenerations and that have the potential to be transformed into hubs of entrepreneurship, creativity, innovation and new lifestyles, as well as social and cultural integration. These reap the benefits offered by, for instance, emerging creative sectors, digital technologies, the sharing and 'maker' economy, artists and cultural practitioners, and social innovation. This breakout session has explored this topics from an open innovation angle, reflecting on the role that creatives, artists and cultural institutions and organisations can play in improving cities, and how local administrations can best engage with these creative communities and support their work. The session has presented concrete case histories and methodologies on how local administrations can perform this role. Milan (IT) is a very good example on how a city can facilitate the emergence of creative communities of actors through social innovation processes, designing urban regeneration strategies that take into account the role of locally-based, spontaneous coalitions of “unusual” actors. The city can already count on many existing cultural mainstream assets (like for instance Fashion Week or Design Week), but has managed in the last few years to engage a variety of new, actors, encouraging bottom up innovations through a mix of policy tools: financial support, regeneration of unused public buildings, stakeholders’ consultations, contamination labs, etc. The city’s administration has been particularly good at attracting private investments in the regeneration of unused public buildings, converting them into hubs for collaboration and innovation, in many different areas of work (from social entrepreneurship to urban food, passing through culture and creativity). This approach has proven successful, as those new types of hubs aggregate creative communities and accelerate their work. Two good examples for social innovation hubs include MareMilano and Fabriq. Lisbon (PT) is enacting the concept of creative bureaucracy by supporting the creation of new enterprises in the cultural and creative industries through a mix of intermediary and support actions. As a support set of actions, the city administration has managed over the years to build an entire supply chain, creating its own incubators and accelerators, labs with a variety of machineries all available for use by young creatives (artists, craftsmen). As a set of support actions, the city enacts the role of intermediary by assisting young creatives in going to market through both online and offline marketplaces and by facilitating the matches between young talents from Lisbon with international opportunities in other innovative contexts. Cluj – Napoca (RO) has invested heavily in the development of cultural and creative industries. Indeed, the municipal budget for cultural, youth & social projects rose tenfold over the past years. Funding from the municipality has been oriented to subsidise the independent cultural & youth sector (local NGOs) and sometimes to finance specific projects of major cultural institutions in the city. Besides the direct investment allocated to the cultural operators and institutions, in the past 5 years the City Hall invested almost EUR 40 million into developing the cultural and touristic capacity of Cluj-Napoca. Other creative industries (besides IT), like film, design, media and music have had a few rising star projects in recent years. These are potential key advantages and assets for the city that need solid and long-term support to flourish. Beside this, the City also provides a good example of how to leverage culture and creativity for social inclusion and citizens’ empowerment and wellbeing, through the involvement of stakeholders in neighbourhood- based experiments, where arts and creativity are used as tools to involve citizens of all ages in the improvement of public spaces. Below are some conclusions from the breakout session. There are many forms and layers of “culture” in a city: from the values belonging to the mainstream community of citizens, to the new emerging clusters of creative initiatives driven by informal groups working at the periphery of mainstream culture (from the variety of artistic expressions taking life in different places around a city to the work performed by new type of intermediaries bridging the gap between art and craftsmanship). Cities cannot apply a “one size fits all” approach, but need to take into account this diversity in the design of their policies. 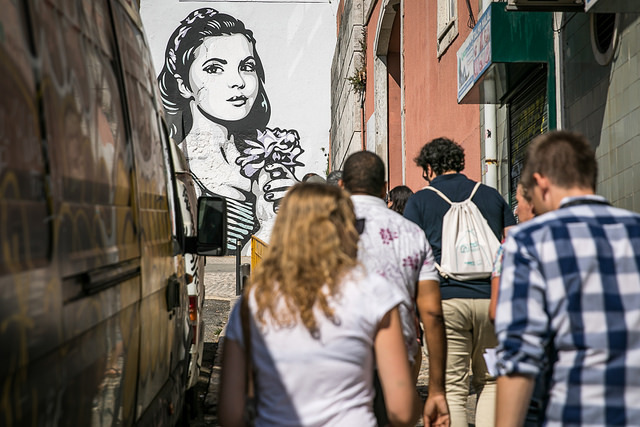 In this sense, URBACT Local Support groups can help bring together different stakeholders representing the diversity of cultures in the city to co-design urban policies that favour differentiation and integration, rather than homologation and monopolies. Culture represents an intangible asset for the city, and can be leveraged to create drivers for innovation and new entrepreneurship. For instance, cities can use their cultural assets (such as historical centres) to foster the connection between culture, creativity and tourism, therefore creating a positive cycle of economic development by attracting external resources. Lastly, culture and arts are very good tools to engage citizens and should therefore be made more accessible. 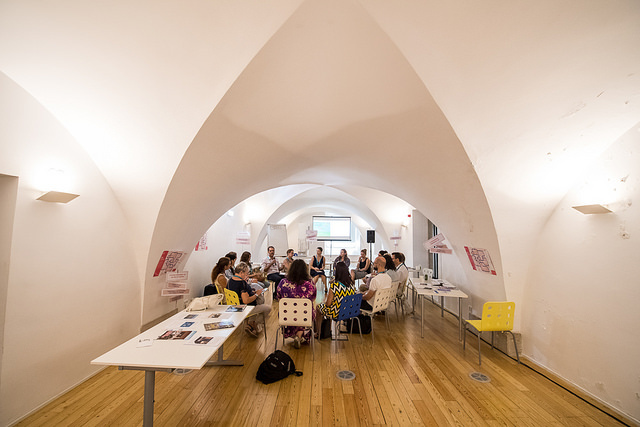 It’s very important to create new types of spaces for collaboration, such as social innovation centres focussed on cultural and creative industries, that can be placed in former abandoned landmark buildings in historical centres. Those new type of spaces, usually governed by public-private partnerships, can be seen as platforms for the match between demand and supply of innovations in the cultural and creative sectors. By creating opportunities for bringing together talent, technologies and creatives, hubs can spark and support the emergence of new projects and ventures, and attract investment to sustain them, resulting in job creation, economic growth, urban regeneration, and new forms of cultural heritage preservation as well as improve citizens’ wellbeing, which means local sustainable urban development.